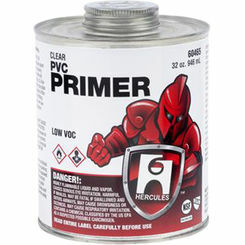 When you need PVC glue and PVC primer for your installation, PlumbersStock has plenty of discount options for you. Sprinkler pipe, like PVC pipe and schedule 40 fittings, is typically best connected with standard PVC glue. 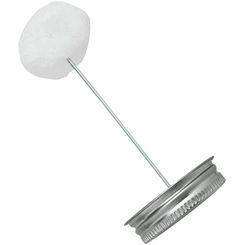 It's so useful because most installations are done with non-threaded pipe. Pro tip: also referred to as PVC cement, in sprinkler applications you should apply PVC glue generously because it's relatively cheap, it ensures a stronger bond, and excess glue won't be visible after the pipe is buried. 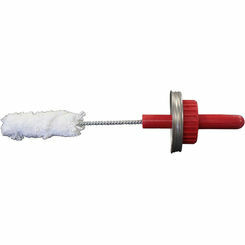 Whether you need hot glue, blue glue, or any kind of PVC primer, PlumbersStock has you covered. 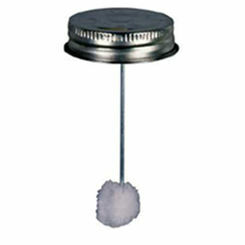 We offer a myriad of those products to make your irrigation jobs to go as smoothly as possible. 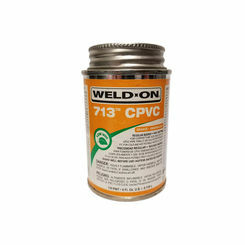 If you’re looking for the best PVC glue for the cheapest prices, you are in the right place. There are a billion types of glue out there on the market with different applications for all of them, and not all of them can be used interchangeably. 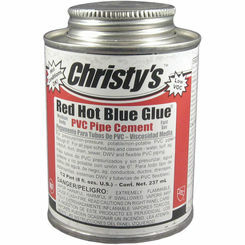 Be careful about what you use as a substitute for PVC glue. 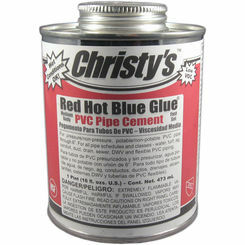 Blue glue and other products are designed specifically to create the ideal bond for PVC pipe and fittings. 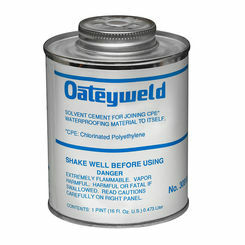 PVC glue is the most common anchor used to connect PVC to other PVC. 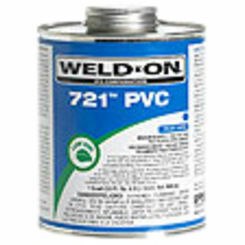 Used in conjunction with PVC primer, this type of glue helps meld PVC to the point where it almost becomes a singular piece—unlike other products which simply act as binding agents. 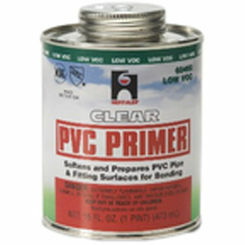 However, remember this; you absolutely need PVC primer when using PVC glue. 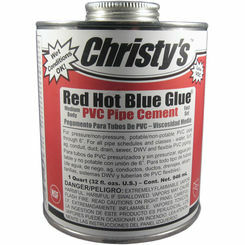 Pipe cement, while not technically glue, works like PVC glue and is used with a variety of pipe types. 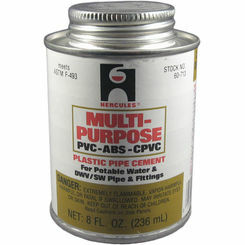 Perfect for binding ABS, PVC, or CPVC piping systems, pipe cement is a great product for HVAC technicians as well as plumbers. 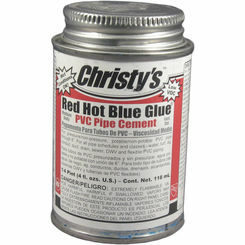 This would qualify as one suitable substitute for blue glue or other PVC glue types. 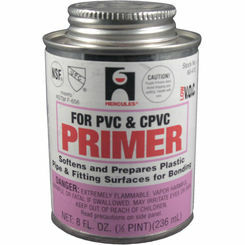 Primer is typically used with PVC pipe and schedule 40 fittings. By softening the PVC itself, it allows the anchor or glue which you use to join at a deeper, molecular level. This permanently joins the two PVC pieces, making sure that physical abuse or prying cannot pull the two apart. 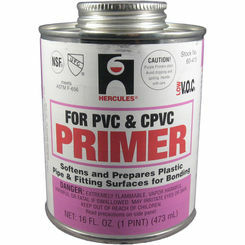 For heavy-duty jobs, or even for water proofing, PVC primer is integral, and thus should never be left out. What Primer Should You Use? Clear PVC Primer or Purple: At the end of the day, this choice is not a huge deal; but, for aesthetic purposes, you still need to weigh the pros and cons. 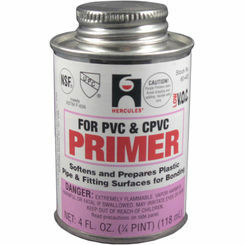 For instance, many inspectors like purple primer simply because they can tell whether or not the building is set up; but, if you are purchasing it for personal use, clear primer is perfectly fine. Price: Overpaying for primer is pretty difficult—as most primers aren’t too expensive—however it’s still a possibility. For that reason, make sure to compare prices and only buy once you know you have the best price you can get. Brand: Brand isn’t the most important part of picking your primer, but it’s still something to keep in mind. Research the product you are purchasing and make sure it’s got a good reputation; this can help make sure you get the right product for you. 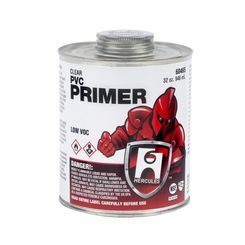 Overall, even with a wide variety of primers, you shouldn’t have to put a ton of thought into what PVC primer you purchase. 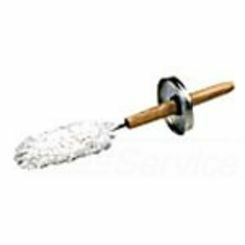 But, if you want to do the job right, make sure you follow our directions here; it may save you a bit of hassle! 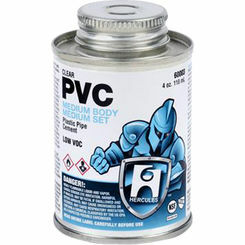 Why Buy PVC Glue from PlumbersStock? 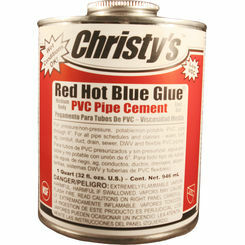 For more information about our PVC glue products (Hercules, Oatey, Christy's, and more), or if you need help with your HVAC or plumbing job, call today! We have customer service representatives standing by to give you the advice that you are looking for to determine if you need blue glue, hot glue, or pipe cement.  Thank you for choosing PlumbersStock.com! We know you will not be disappointed. Save on all lawn and garden supply. We have other types of plumbing glue, too. Use our industry professionals and take advantage of our free sprinkler designs.